A good sandwich always starts with delicious bread. Some of the best bread comes from the bakery at your local grocer. I often find myself searching for different types of rolls for sandwiches when I want to make a tasty but quick family meal. The other day I found two different flat rolls that inspired me to try a new sandwich. An Italian roll and a jalapeno roll. The Italian roll was sprinkled with Parmesan cheese and oregano while the jalapeno roll was sprinkled with a little grated Parmesan cheese with slices of jalapeno peppers baked into the top of the bread. Both rolls smelled heavenly at the bakery and were so inviting that I had no choice but to put a couple of each in my basket. 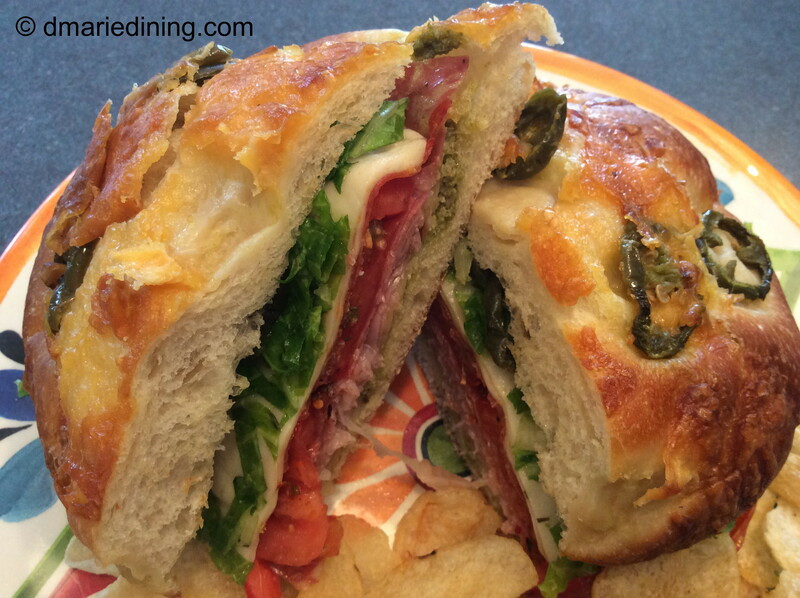 The Italian roll inspired me to create a Hot Italian Sandwich which turned out to me a winner in the family. I have made this sandwich a few times since my first try and it continues to be something the family enjoys. 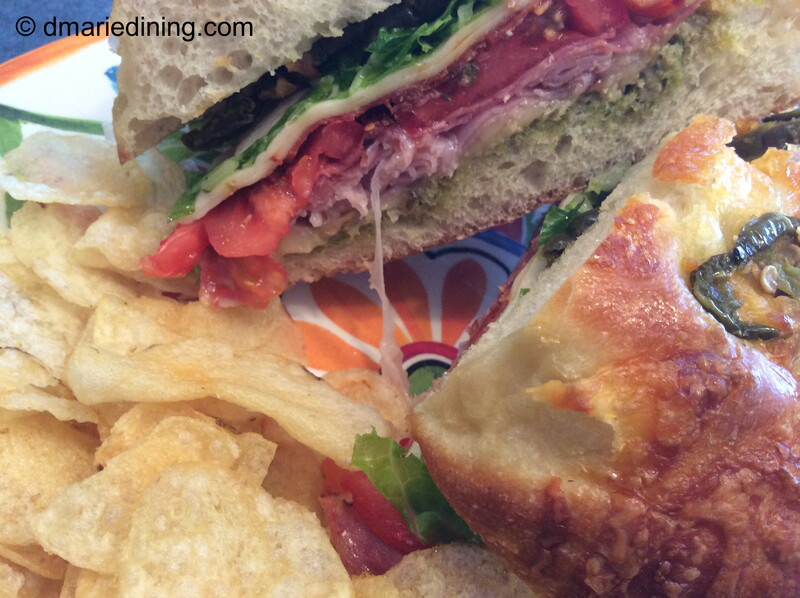 The sandwich is packed with soppressata, capicola ham and pepperoni sliced from the deli. Sandwiches are my go to meal whenever we are having a later than usual dinner because my son has a sporting event, school event or I have a bunch of errands after work. By the time we get home I don’t feel like preparing a complicated meal but I still want a balanced dinner. I really just want to get dinner on the table in less than 30 minutes so that we all still have time to relax before going to bed to prepare for another busy day. Mix Italian dressing with lettuce and set aside. Spread pesto on bottom half of each roll. Place two slices of pepper jack cheese on the bottom half of each roll. Place on a cookie sheet. 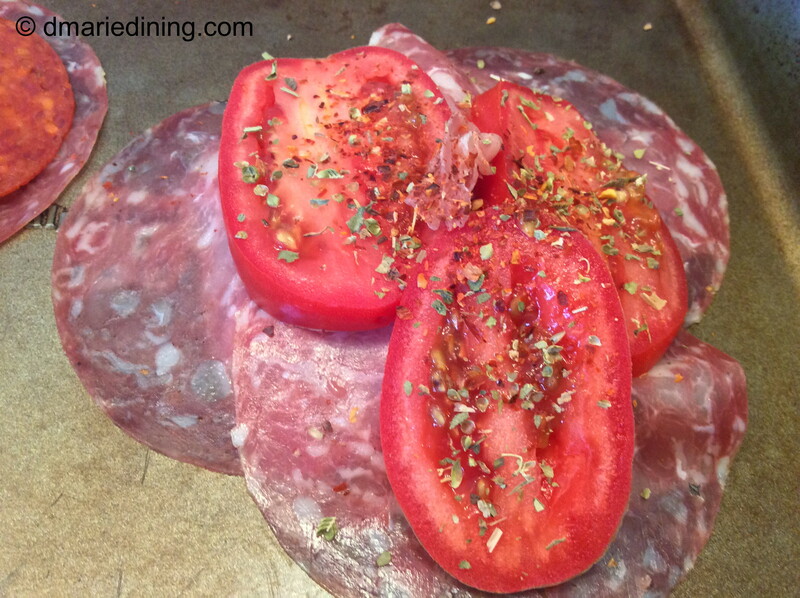 On a separate cookie sheet pile 2 slices of capicola, 2 slices soppressata, 3 slices tomatoes sprinkled with oregano and red pepper flakes. 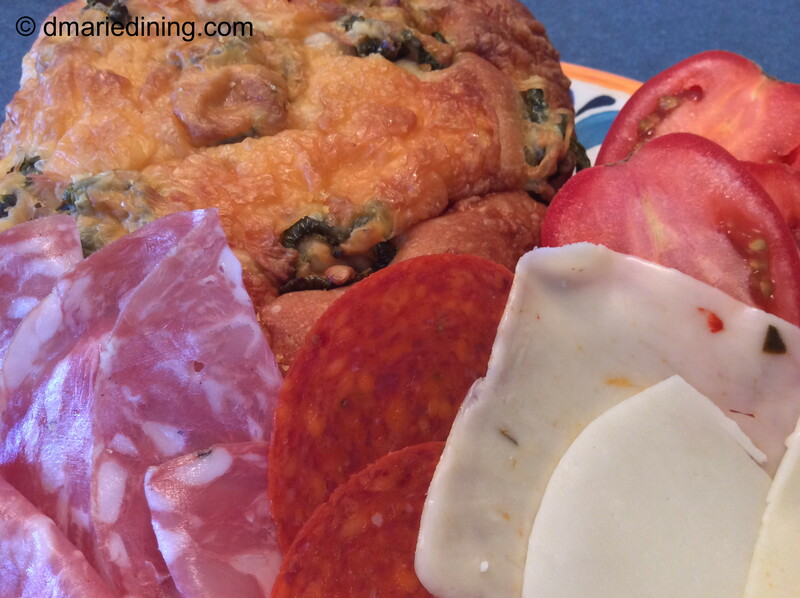 Top tomatoes with pepperoni then 2 slices provolone cheese. 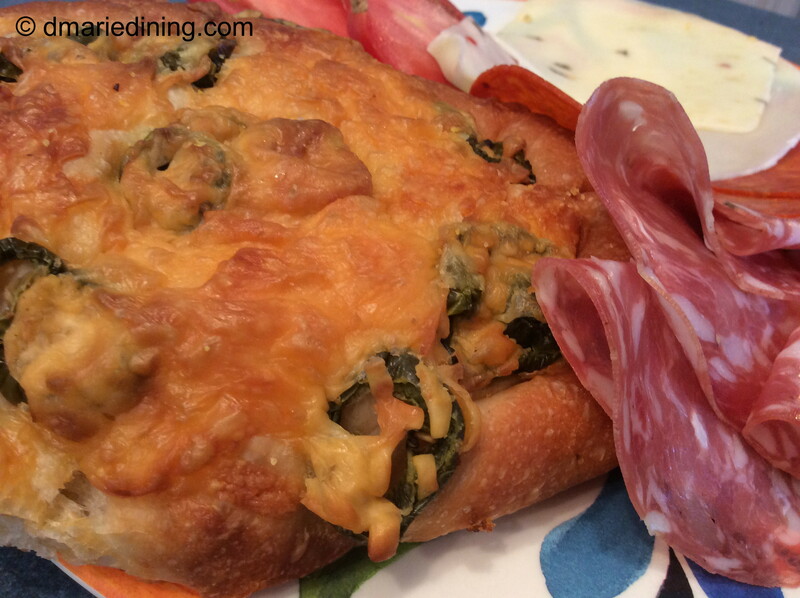 Place meats and bread in the oven until cheese melts approximately 2 – 3 minutes. Remove from oven and top bottom half of each roll with meat and lettuce. Place other half of roll on top of the lettuce and cut in half. Serve with chips or a cup of soup.